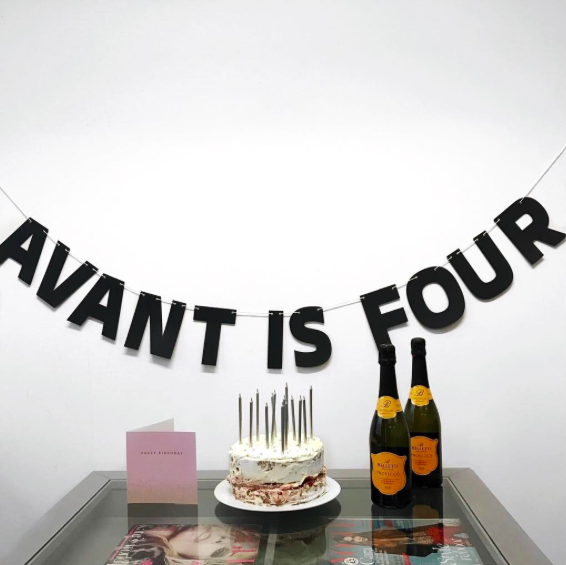 Today marks Avant PR’s fourth birthday – hip hip hooray! It’s been a busy year to say the least; with an array of new beauty and fashion clients coming on-board, we have been working our little socks off, embarking on press visits, and organising celebrity and influencer events, as well as securing tip top coverage in premium titles for our lovely clients. We also won Young Entrepreneurs of the Year and the Chairman’s Award at the FSB Awards, appointed the lovely Melissa as Account Executive, and I was promoted to Senior Account Executive. We have also recently appointed Leah Gibbons as PR & Social Assistant! I have now been here for over a year and a half and it’s clear that the success of the company is down to the hardworking ethos of the entire team, our lovely Directors and the great clients we have on-board and love working with. Today we are celebrating the only way we know how – with cake for breakfast and prosecco before we finish for the day. It’s been a fantastic year, and we are all excited to see what the next 12 months will bring!